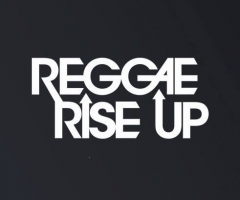 Reggae Rise Up Utah (RRUU) has just released the full lineup for the big event happening the weekend of August 24-26, 2018! 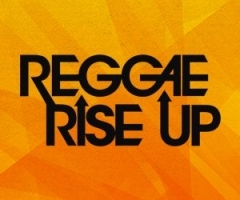 Hold on to your hats, local Utahans and reggae enthusiasts nationwide, because the biggest acts in reggae (and hip hop!) will be coming to celebrate life in the gorgeous natural landscape of River’s Edge Campground in Heber, UT this summer. RRUU is back again for the eighth time and Salt Lake City-based concert and festival production company, Live Night Events, will be bringing in the big dogs. 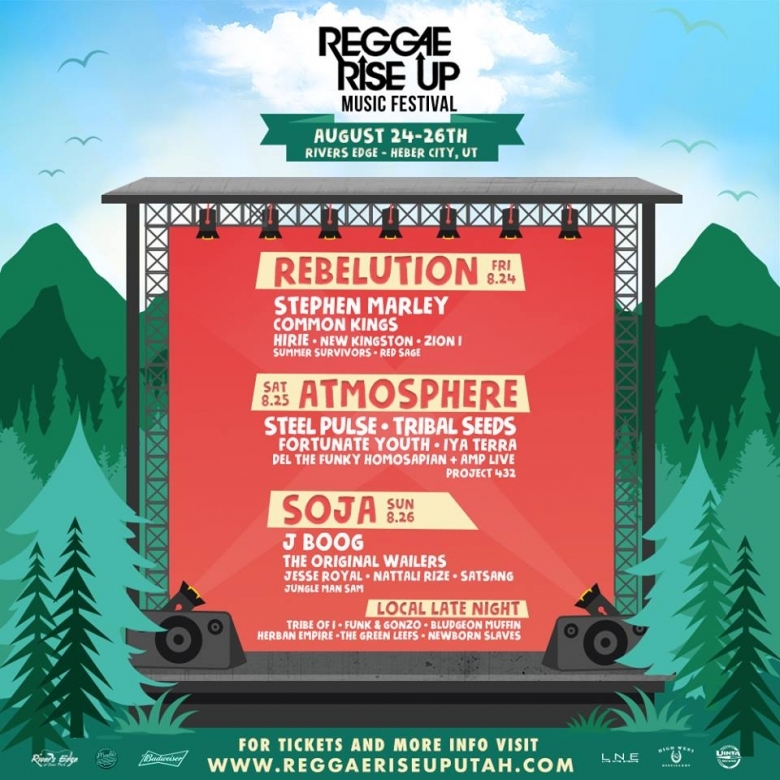 Rebelution, Atmosphere and SOJA will be providing headlining performances, as well as other big time GRAMMY-winning reggae legends Stephen Marley, Steel Pulse and The Original Wailers. 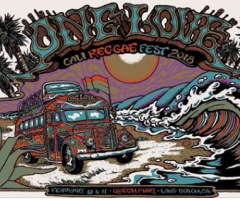 Tribal Seeds, J Boog, Fortunate Youth, Iya Terra, Common Kings, Del The Funky Homosapien with Amp Live, HIRIE, Nattali Rize, Jungle Man Sam, Jesse Royal, New Kingston, Zion I, Summer Survivors, Satsang, Red Sage and Project 432 will also be joining the scene. Are you giddy with excitement yet?! Are you giddy with excitement yet?! Well, you should be! Utah, especially Salt Lake City, has an amazing tight-knit artist community that will help make this three-day event even more worthwhile! Some of Salt Lake City’s most prominent local reggae bands will be performing a local late night afterparty each night of the festival. There will be a variety of local breweries, food trucks, art installations, vendors and interactive experiences to participate in. You’ll feel right at home if you aren’t already part of the mountain community. From out of town? No worries. RRUU will be the perfect balance between entertainment and nature. River’s Edge Campground is tucked away in the valley of Heber City and nestled along the Jordanelle Reservoir and Provo River. Live Nite Events chose this festival site in order to provide attendees with a secluded and naturally beautiful setting to dance around and have fun in. 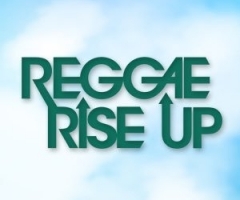 River’s Edge Campground is also the home of Reggae Rise Up’s sister festival, Bonanza Campout. This is the perfect setting for an all-inclusive, weekend-long music and camping festival. Camping options are still available, but onsite cabins have already sold out. Limited RV sites remain. So, be sure to book your spot at a campsite or local hotel and get your ticket soon if you want to join the fun! Want tickets? We know you do. General admission weekend tickets are currently on sale for $85, two-day tickets for $65 and single-day tickets available for $50. VIP weekend tickets are currently available for $140. For more information, visit www.reggaeriseuputah.com.